[av_section min_height=’25’ min_height_px=’400′ padding=’default’ shadow=’no-shadow’ bottom_border=’no-border-styling’ bottom_border_diagonal_color=’#333333′ bottom_border_diagonal_direction=” bottom_border_style=” id=” color=’main_color’ custom_bg=” src=’https://www.innovationgeneration.com.au/wordpress/wp-content/uploads/2015/12/WEB-BANNER-2017-1030×449.jpg’ attachment=’782′ attachment_size=’large’ attach=’scroll’ position=’top center’ repeat=’stretch’ video=” video_ratio=’16:9′ overlay_opacity=’0.5′ overlay_color=” overlay_pattern=” overlay_custom_pattern=” av_element_hidden_in_editor=’0′] [av_two_third first min_height=” vertical_alignment=” space=” custom_margin=” margin=’0px’ padding=’0px’ border=” border_color=” radius=’0px’ background_color=” src=” background_position=’top left’ background_repeat=’no-repeat’ animation=” mobile_display=”] [av_image src=’https://www.innovationgeneration.com.au/wordpress/wp-content/uploads/2015/12/INN-GEN-LOGO_Conf2018_Wagga_white-NEW-1030×174.png’ attachment=’1775′ attachment_size=’large’ align=’left’ styling=” hover=” link=” target=” caption=” font_size=” appearance=” overlay_opacity=’0.4′ overlay_color=’#000000′ overlay_text_color=’#ffffff’ animation=’pop-up’ admin_preview_bg=”][/av_image] [/av_two_third][/av_section][av_section min_height=” min_height_px=’500px’ padding=’small’ shadow=’no-border-styling’ bottom_border=’no-border-styling’ id=” color=’main_color’ custom_bg=” src=’https://www.innovationgeneration.com.au/wordpress/wp-content/uploads/2014/07/BKGRND1a.jpg’ attachment=’460′ attachment_size=’full’ attach=’parallax’ position=’top center’ repeat=’no-repeat’ video=” video_ratio=’16:9′] [av_one_fifth first] [av_image src=’https://www.innovationgeneration.com.au/wordpress/wp-content/uploads/2015/04/Dave-Gooden.jpg’ attachment=’2013′ attachment_size=’full’ align=’right’ styling=” hover=” link=” target=” caption=” font_size=” appearance=” overlay_opacity=’0.4′ overlay_color=’#000000′ overlay_text_color=’#ffffff’ animation=’no-animation’ admin_preview_bg=”][/av_image] [/av_one_fifth][av_one_half min_height=” vertical_alignment=” space=” custom_margin=” margin=’0px’ padding=’0px’ border=” border_color=” radius=’0px’ background_color=” src=” background_position=’top left’ background_repeat=’no-repeat’ animation=” mobile_display=”] [av_heading heading=’David Gooden’ tag=’h1′ style=’blockquote modern-quote’ size=” subheading_active=’subheading_below’ subheading_size=’15’ padding=’10’ color=” custom_font=” admin_preview_bg=”][/av_heading] [av_textblock size=” font_color=” color=” admin_preview_bg=”] David and his wife Heidi farm at Lockhart in Southern NSW and are partners in a collaborative farming venture with his three brothers. The operation covers 3500ha of dryland winter crops and provides contract spraying and sowing, operates grain freight and also manufactures chemical trailers with batching tanks to provide a safe means of transporting and mixing chemicals. 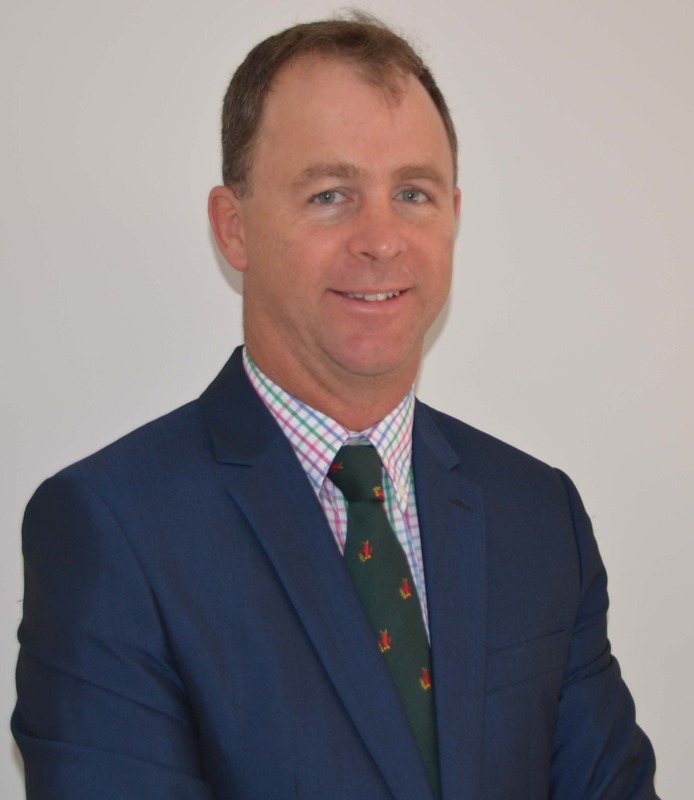 David has experience in the ag business supply chain, working as a Stock and Station Agent and in rural merchandise with Dalgety before undertaking and completing a Bachelor of Applied Science in Agriculture in 1997. Since then David has been responsible for managing the cropping operation and is responsible for the spray application program. In 2010 David was awarded a Nuffield Scholarship to study global agriculture and spray application technology, regulation, testing and training. In 2012 David travelled to the UK to undertake a 3-week intensive Agricultural Business Management Course at the Royal Ag College at Cirencester. He is passionate about the future of agriculture and wants to see rural communities grow and develop. David puts a high importance on good agronomy, family involvement, continual improvement, development and knowledge. The farm values soil and water assets and utilises crop residue and new technology as a tool to improve the sustainability and profitability of the family business.